IBM Installation Manager is used to install IBM products, such as WebSphere Application Server. 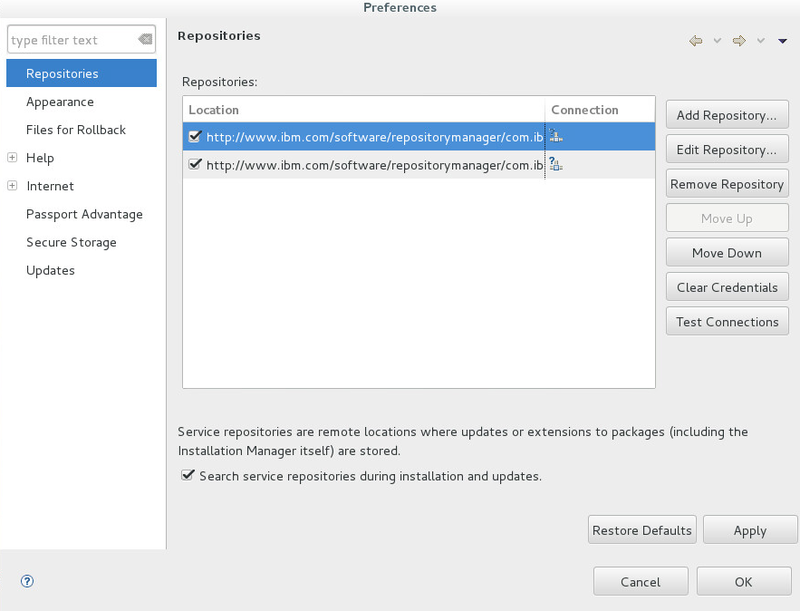 If you have not installed IBM Installation Manager, follow the directions in the article on how to install IBM Installation Manager. Select Add Repository and enter the URL for the version of the WebSphere Application Service you want to install. The developer version of WebSphere is a free version of WebSphere that can be used for testing. Also add the supplemental URL, which will let you include IBM HTTP Server, Web Server Plug-ins for WebSphere Application Server, the WebSphere Customization Toolbox, or the WebSphere Application Client. 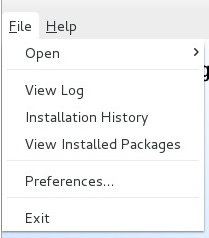 Now, when using Installation Manager, you will be able to select software from the repository. 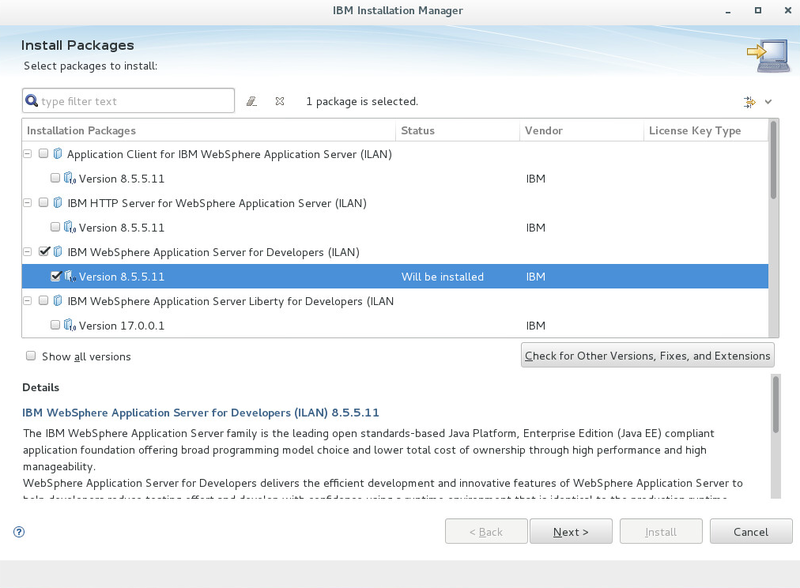 In this example, WebSphere Application Server can be installed from the repository.